Weddings are one of the most memorable events in a person’s life. Surely you would want yours to be no more than exceptional. Isn’t your bride-to-be lovely? Then surely you would want only the best for that beauty the moment she travels to say her vows with you. She deserves the best. Par her gorgeous charm with the luxury limo for her big day and that would complete the perfect scene for a memory worth remembering. Our bridal car limo special service will come on time to pick up your bride and take her to the destination, with that matching posh bouquet in the hood. 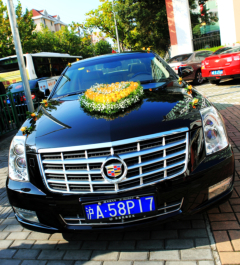 We will see to it that our chauffeurs are briefed well for your bride’s safety and for that flawless dramatic entrance. We would want your day to be perfect. Consider the best for yours and your bride’s special service today.